It is estimated that two million dogs and cats are killed each year in the fur trade. Dog and cat breeders operate primarily in China and elsewhere in Southeast Asia. Breeders sell cat and dog furs to companies in Europe, who incorporate the fur and skin of the animals into clothing and products such as cat toys or stuffed animals. Products consisting partially or wholly of cat and dog fur are then sold to buyers in Europe, America and elsewhere in the world. Businesses keep small or large groups of cats and dogs in breeding farms. Several such breeding farms are located in Northern China, where the fur of the animals grows thicker in the cold weather. These facilities hold up to 70 cats, or 5 to 300 dogs. Often, breeders are not businesses as such, but a family that keeps a few dogs and cats. They keep these animals outside, so that their coat grows thicker. At the beginning of the winter, they slaughter the animals and sell the pelts to fur traders. Breeders value short-haired cats and German shepherd dogs in particular. As with other animals in the fur industry, dogs and cats are bred in dank facilities with inadequate food and water, under conditions that optimize the thickness and length of their fur, but weaken and sicken them in time for slaughter. To kill a dog, the butcher ties a metal wire around its neck, then stabs the dog in the groin area. The butcher then skins the dog, sometimes while the dog still lives. Butchers hang cats to kill them. Sometimes, they hang the cats, then pour water into their open mouths until the cats drown. Often, cats and dogs are sold in open air markets. Breeders sell dog flesh to restaurants or food operations. Locals then use the cat and dog fur themselves, or sell to dealers in Europe. There, middlemen sell fur in auction houses, or incorporate cat and dog fur into European products. European dealers also use cat and dog skin. Unsuspecting consumers in the United States may well purchase fur items consisting of cat and dog fur. 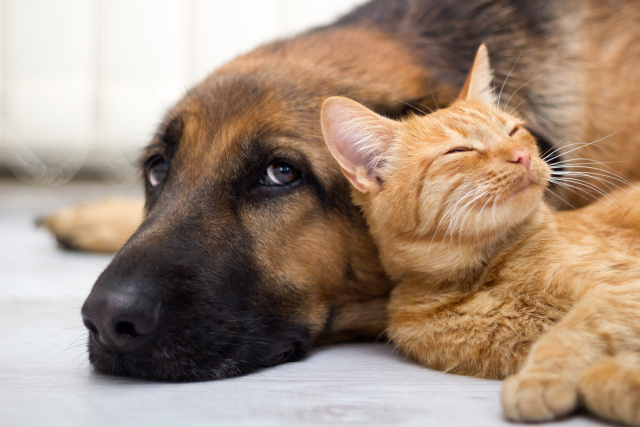 Often, pseudonyms will be used to describe cat and dog fur in products. In addition, cat and dog fur is difficult to discern from other types of fur, making it difficult for the customer to select a product that does not consist of fur from either of these animals. Cat and dogs are beloved animals in the United States, and the chance that fur products may consist of cat and dog fur should be reason enough to dissuade people from purchasing any and all fur or fur-trimmed products. Please write your Congressional Representative. The conditions that cats and dogs in the fur trade endure, however, differ little from those suffered by millions of other animals. Minks, raccoons, foxes, and other species live in horrible conditions when bred for their fur. Though these animals are not companion animals like dogs and cats, the humiliation they bear is the same, and their lives should be equally valued. Americans and others can better understand the terrible conditions endured by all animals in the fur trade by acknowledging the humiliation sustained by cats and dogs. Refrain from purchasing fur products or animal based products of any kind.